a-England have recently released a new collection of polishes - Elizabeth & Mary Collection. I ordered them last week and this the the first one I tried. This is easy to use, easy to apply and quick drying (about 2 mins a coat). It is a gorgeous deep jewel blue colour. The formula is quite thick but applies okay and the brush is good. Lasted really well. That's a real stunning blue. 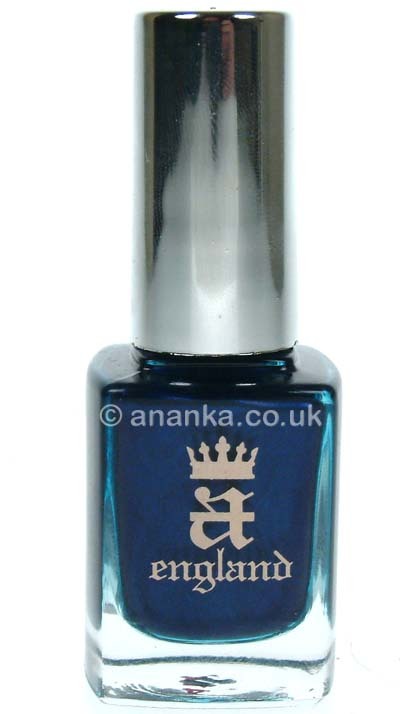 It seems a royal posh polish. I love it! Such a good brand! Love their holo's. This one's also gorgeous, so intense! 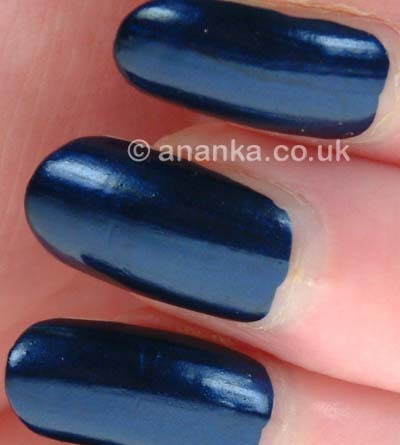 What a gorgeous shade of blue (it's a pity it stains :-/). I'm eager to see the other ones (I suppose you've bought all of them ;-)). Pity for it stained, but I'm quite used to stains with blue polishes. I love it and I'm looking forward to seeing the others!